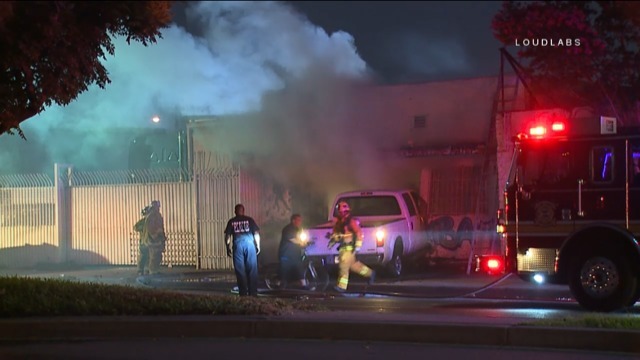 A truck crashed into a restaurant catching the restaurant and truck on fire early Saturday morning. It appears the driver fled on foot. The building is red tagged. Health HazMat & Building & safety in route. No injuries to report. Unknown if additional businesses will be effected.